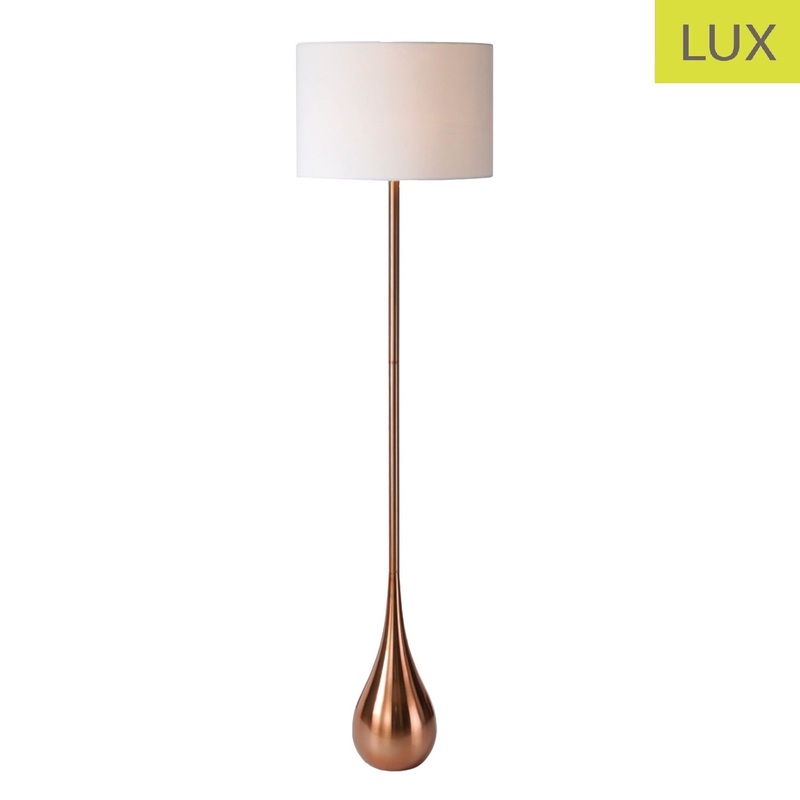 This is a stunning rose gold tear dropped body floor lamp with white drum shade which matches our popular kira table lamp. A simple yet stunning solution for lighting. 17" x 17" x 65"